In this intimate and delicate part of your body, it’s essential to know that you’re using a product which is completely safe. A lot of products have appeared in the last few years, but many are untested and unlicensed for public sale, and they may well be made of unsafe materials. Some of these products can even be bought from reputable sources and websites so you need to be careful about which ones you use. So how can you tell which are the genuine and safe products? Under UK and EU law, any product which claims to strengthen your pelvic floor is classed as a Medical Device. This means it has to meet obligatory safety and effectiveness criteria set down by law. 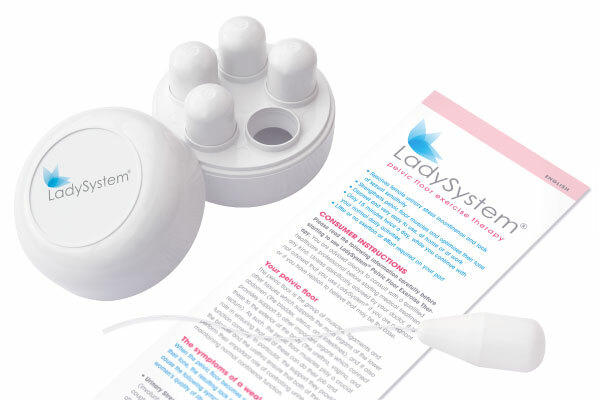 LadySystem Pelvic Floor Exercise Therapy is a Class 1 Medical Device which satisfies the requirements of the European Medical Devices Directive. It also bears the “CE Mark” (see below) which shows that it has been registered with the UK Medicines and Healthcare Products Regulatory Agency (MHRA). The materials used in the manufacture of LadySystem Pelvic Floor Therapy comply with international standards of pharmacological safety, including United States Pharmacopoeia XXII Class VI, FDA, and ISO 10993 (biocompatibility). 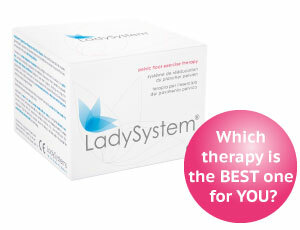 LadySystem Pelvic Floor Therapy has been used and recommended by medical specialists over 20 years. It is our policy continuously to develop the product in order to optimise its safety, quality, and effectiveness, and we maintain a close dialogue with medical professionals and users of the product in order to achieve that aim. Ladysystem Pelvic Floor Therapy cones are of robust design and construction and have been extensively tested for safety in regular every day use. How to identify risky products? Is it registered with government health authorities for public sale and use? It’s easy to tell. Look for the CE Mark (see below) on the packaging or elsewhere on the product. If it’s present then the full name, address, and contact details of the manufacturer or distributor should also be present. If both aren’t clearly shown, avoid the product. Is this a genuine product or therapy, or a cheap imported copy? The U.K. and Europe are currently flooded with counterfeit medical products claiming to be the real thing. Genuine products are usually accompanied by comprehensive instructions for use, including contra-indications and other safety information. Again, look for the CE Mark accompanied by the full contact details of the manufacturer. If they aren’t clearly shown, you should avoid the product. Any genuine therapy will have been clinically tested and proven, otherwise it’s illegal for sale to the public. If nothing about this is mentioned on the packaging, contact the manufacturers and ask for details. If you can’t get any information, the product is best avoided. Genuine manufacturers will only be only too pleased to provide any information which you request. These products should always contain a range of at least 5 or more weights, and not just one or two. Be wary of multi-coloured, odd shaped products, with rudimentary or no instructions, and use the above three rules to distinguish them from genuine therapies. Any which are spheres or a combination of spheres (chinese balls, Ben Wa balls) have no clinical credentials whatsoever to support their use for pelvic floor strengthening. Therefore, they won’t be of any therapeutic benefit despite the manufacturers’ publicity. Information provided on this web site is neither intended nor implied to be a substitute for professional medical advice. You should not use the information on this web site or the information on links from this site to diagnose or treat a health problem or disease without consulting with a qualified healthcare provider licensed to practise in your country. 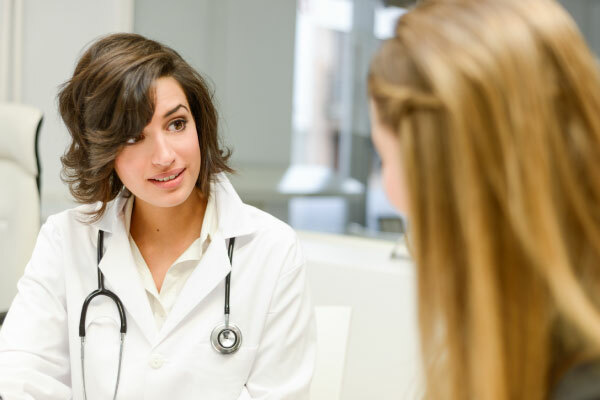 We advise you always to seek the advice of your physician or other qualified health care provider prior to starting any new treatment or with any questions you may have regarding a medical condition. If you have any reason for believing that you might be pregnant, it is prudent not to use any intravaginal devices including LadySystem without the express advice of your doctor. LadySystem should always be used in accordance with the instructions provided.